If you have a group of 6 persons or more and want to take any of our tours as a private tour, we can normally arrange any tour for any date – contact us for details, availability and pricing. Whether it is a company reward trip, a special holiday for an anniversary or birthday, or a friends’ reunion, we can give you a once-in-a-lifetime experience. 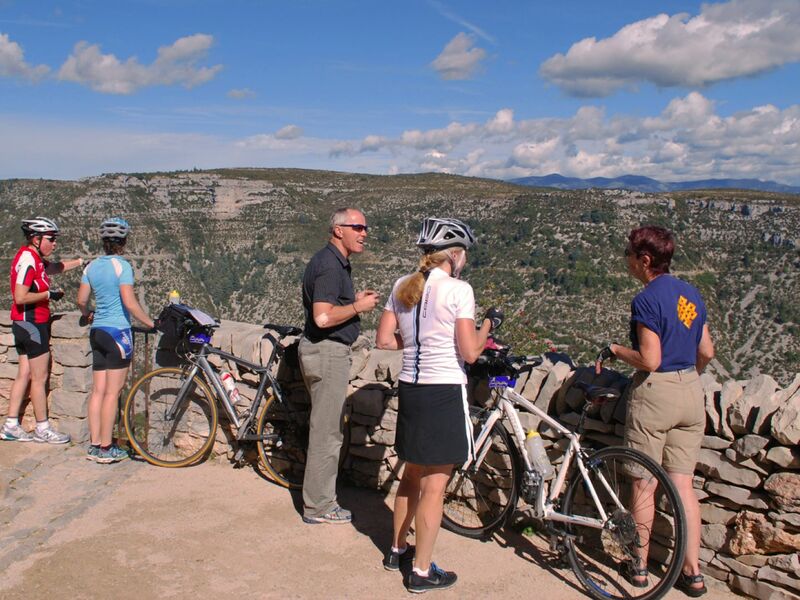 We can tailor aspects of the itinerary to suit your party – if some riders are more or less experienced, we can adapt routes to be longer or shorter; if there is a specific winery or château that is special to a member of the group, we will endeavour to include it on the tour. If, on a sports tour, there is a mountain pass that just has to be climbed, we’ll make it happen! A special dinner for that big wedding anniversary or birthday? – just say the word and we’ll arrange a meal that nobody will forget. If you want a day off the bike to do something else – a canoe trip, a balloon voyage or just a day shopping – we will arrange everything!